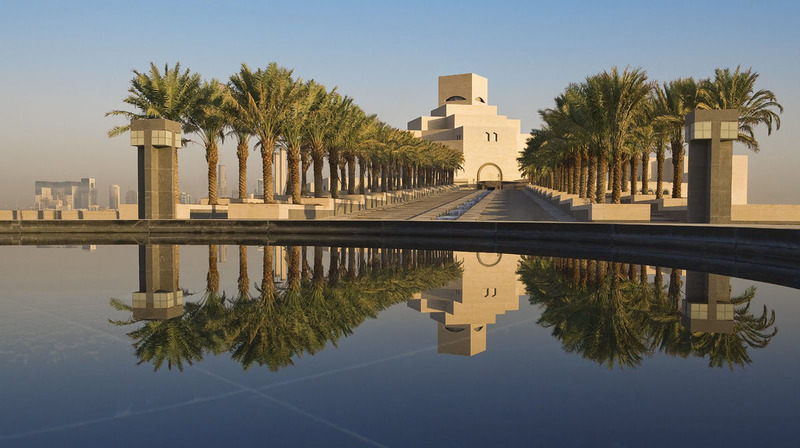 Built on a man-made island on the edge of Doha harbour just off the corniche, the Museum of Islamic Art in Doha, Qatar houses one of the world’s most complete collections of Islamic artifacts. Designed by Pritzker Prize laureate I. M. Pei, who embarked on a journey across the Muslim world to grasp the essence of Islamic architecture which he borrowed for the design of the museum. The result is an architectural icon composed of a five-storey minimalist building and a two-storey education wing with the geometric patterns and aesthetic details of the art and architecture of the Muslim world. 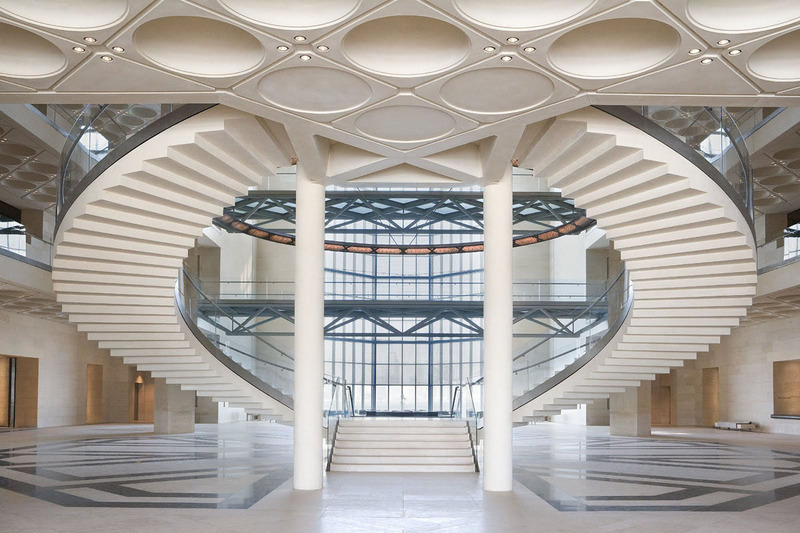 Inside the building, a soaring atrium with a stainless steel domed ceiling above the grand staircase is a stunning centrepiece of the interiors.